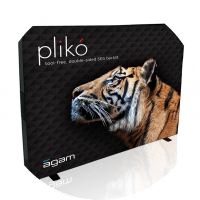 Modular System for Trade Show Displays | Agam Group, Ltd.
Agam Modular Display System is engineered around a wide variety of extrusions and components. These components interlock to build attractive exhibits, displays, store fixtures, office environments, and anything else your imagination and creativity will allow. 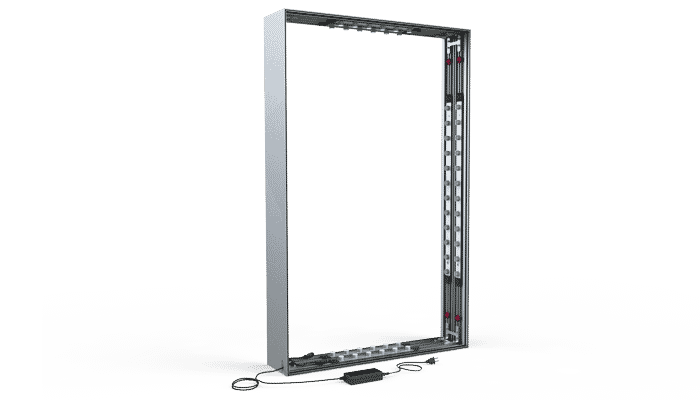 From large to small, round to square, SEG to traditional panel-based extrusions, the Agam Modular System features over 150 extrusions. With over 500 accessories, the Agam Aluminum Modular Display System provides a solid foundation for a successful modular design. Two lightweight aluminum display stands that securely house Apple iPads. Ideal for use in tradeshows, retail displays, or special events. Plikó is a backlit, tool-free SEG exhibit that can be fully assembled in less than 10 minutes.